An outboard is often a good candidate for overhauling or rebuilding. Sooner or later, there comes a point in the life of every marine engine when a simple tune-up will no longer restore lost power. When that inevitable moment arrives, you're left with two basic choices: You can either endure the sluggish performance and diminished fuel economy of a tired engine. Or you can re-power the marine engine. Re-powering refers to three different projects and three different levels of expense. In its simplest sense it means overhauling an engine. On a more ambitious level, it can refer to a complete rebuild or, at the highest level, it means replacing the existing power plant with a factory-new engine. So, after deciding whether or not to re-power, you then have to decide how you're going to do it. Overhauling a stern drive requires removing the outdrive and exhaust system, disconnecting fuel, cooling and electrical lines, hoses and wires, and then pulling the engine. Next, the engine is disassembled and its parts examined for wear. If cylinder-wall wear is minor, the pistons are cleaned of carbon deposits and the rings are replaced. The cylinder walls are honed so their surfaces will allow the new rings to seat. 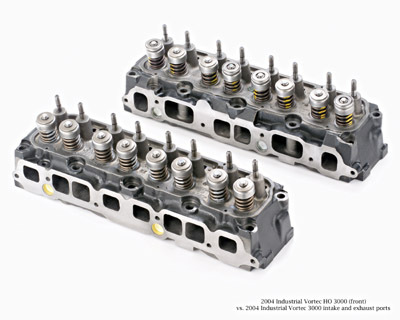 In addition, the cylinder head's valves and valve seats are ground. Assuming the crankshaft bearings are still within specification, the engine is reassembled and reinstalled. 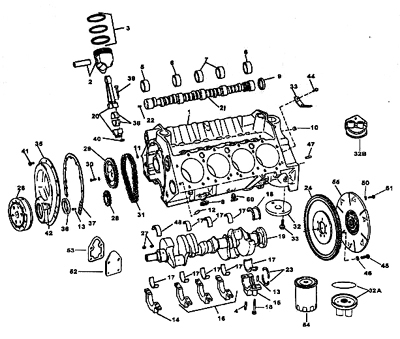 A more ambitious rejuvenation process is rebuilding the engine. Which involves replacing most of the critical parts and machining many of the surfaces such as the cylinder head, cylinder block deck and the crankshaft journals. Besides having a prerequisite valve job, a rebuilt engine receives a new set of oversized pistons and has its cylinder walls bored oversize to fit the wider diameter. The crankshaft journal is ground and the bearings replaced. A tired engine's heads are often warped and must be planed flat. Otherwise the head gasket won't seal against combustion gas and coolant flow. Marine engines require heavy-duty parts. Replacement pistons must be either hyper-eutectic or forged. Less expensive cast pistons will not hold up to the strain of the marine duty-cycle. As for the economics of overhauling versus rebuilding, a rebuild is more expensive than an overhaul, but not by enough to make the choice easy. Given the substantial cost of removing the engine from its bay, and taking the total cost factor into consideration, it usually makes more sense to do the job right. The difference in return on investment between an overhaul and a rebuild is necessarily long-term. While there is no hard and fast rule that would accurately suggest how many hours an overhaul lasts compared to a rebuild, the difference is usually worth the extra cost. One reason is that an overhaul retains surfaces that are already worn. Whereas a rebuild, with its multitude of new parts and comprehensive machining of critical surfaces, results in an engine that is very close to new. All things being equal, the difference in service life is substantial. So, to my way of thinking, an overhaul is false economy. In some ways, a quality rebuild is superior to a new engine. A new, or green, engine block twists and stretches during the first few hours of its running life. This slight imperfection in alignment slightly kinks the cylinder bores, restricting horsepower. In a V-8, that can mean a loss of 5- or 10-horsepower. For this reason, some race-engine builders run a new block for a few hours until it has "set." Then tear it down, and bore it to squeeze every last drop of horsepower out of the crankshaft. Rebuilt engines take advantage of this aspect of casting technology and generate a tad more power by default. Also, because boring a cylinder slightly increases cubic inches, a rebuilt engine's wider piston diameter also kicks up the horsepower a bit. This brings us to the question of whether it is wiser to recondition an old stern drive power plant or bite the bullet and buy a new factory motor. Here reliability, as well as cost, becomes a factor. Regardless of whether a stern drive engine is overhauled or rebuilt, a number of weak links remain in the chain. Just as the piston rings, valves and bearings have worn, corrosion has likely been at work in the exhaust risers, and perhaps inside the block and cylinder heads. So where the engine proper is basically new, its support systems are not. Moreover, replacing the alternator, ignition system and carburetor would bring the cost very close to the price of a factory unit. So, in the end, whether or not to rebuild or to buy a new engine is dependent largely on the state of the ancillary components. Besides the newness and the inherent overall reliability of a factory unit, there's the matter of warranty protection. True, some rebuilts include a warranty, but usually it's not as comprehensive as the factory paper. Perhaps even more important, a rebuild is dependent on yesterday's level of technology. Today's electronic ignitions and engine management packages allow engines to generate more power more efficiently and with better safeguards against combustion chamber detonation, overheating and low oil pressure. Beyond that, the castings themselves that today's stern drives are founded upon are vastly improved from what we saw even 10 years ago. Also of importance, corrosion protection is much better, due to improvements in coatings and the integration of new stainless steel parts in key locations. There's more good news about choosing to install a new engine: A few years back, stern drive builders standardized transom cutouts, wiring harnesses, and steering and shift connections, which means that if you want a completely new propulsion package, you can switch the brand as well as the power of your stern drive with a minimum of rigging. Overhauling an outboard motor involves many of the same procedures as overhauling an inboard or stern drive engine, with a few obvious exceptions. First and foremost, with an outboard, disconnecting the outdrive and pulling the engine is unnecessary. All that's required is to remove the cowling and then unbolt all of the system components from the powerhead (carb, ignition, etc.). This makes the job of overhauling or rebuilding an outboard a much less disruptive proposition than it is with an inboard or stern drive engine. After the components are off, you just unbolt the powerhead and hoist it over to the shop bench for further disassembly. The two-stroke outboard motor is fairly simple to rebuild. If even one of its cylinder walls is scored, all of the cylinders must be bored, and oversized pistons installed. Even though there are no poppet valves, as in a four-stoke, the reed valves, must be examined and replaced as necessary. 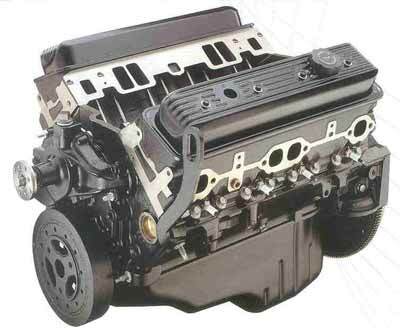 If the engine has overheated, the heads are likely to be warped and unable to seal adequately. Planing the heads restores them to like-new condition. By their very nature, conventional two-stroke outboard motor combustion chambers and piston tops accumulate carbon deposits which must be removed. Carbon is also deposited on the outside of the exhaust port.The newer direct injected two-strokes do not suffer from carbon build-up. To my way of thinking, outboard motors, with fewer internal parts and lower labor costs, are more cost-effective candidates for overhaul or rebuild than are inboard engines. That said, there still remains the matter of old technology versus new. Older outboards are frozen in time, relying on antiquated ignition and engine-management systems. Newer models generate more horsepower more efficiently and with better fuel economy. Just look at the torque curves of new outboards: There's more power at the lower end, which means today's outboards are easier to drive. EFI outboards are the ultimate, in that they're so easy to start, run and maintain. Corrosion protection on a refurbished outboard motor is also not as effective as on newer models. Today's saltwater specific outboards boast beefed up anti-UV and anti-corrosion coatings, a plethora of anti-corrosion zincs and the strategic placement of stainless steel components. Admittedly, if you go to the trouble and expense of a rebuild, there's no question that your new motor will run strong for hundreds of hours. Or will it? The true answer depends on how long the powerhead and lower unit can survive the assault of corrosion that's already started to eat away at their vital aluminum housings. Another key issue is raw, bloody horsepower. If you're not satisfied with the top speed and/or acceleration of your present motor, you might do well to consider re-powering with a bigger motor. Assuming the hull is rated to handle more output, you'll be rewarded not only with the reliability of a new product, but also with better performance. Overall fuel economy might also be better, depending, of course, on the jump in horsepower and the relative efficiency of the old motor versus the new. Overhauling a marine engine requires machining critical surfaces, and sometimes outright replacing worn grey iron castings. Re-powering an inboard marine engine is much the same as re-powering a stern drive, minus many of the complications. There is no clumsy outdrive to wrestle off the transom. To pull an inboard engine, all that's involved is disconnecting fuel, cooling and electrical systems and the transmission. An inboard power plant is essentially identical to a stern drive, and the same pros and cons of overhauling, rebuilding and substituting a new engine apply. 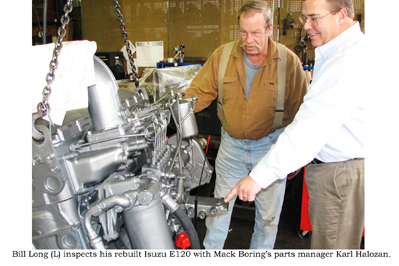 One factor to consider is the way an EFI replacement engine could pay big dividends. Electronic fuel injection has virtually revolutionized inboard engine operation. Diagnosing problems has become a largely automated process. Acceleration is quicker and surer. Fuel economy has been significantly improved. Starting is no longer a problem when an engine is very hot or very cold. Idling is smoother and overall reliability is at an all-time high. Electronic fuel-injected engines come with a number of sensors in place--sensors that can talk to GPS computers and be processed with relation to course and position. Fuel management systems interface with electronic control modules display informationsuch as how much fuel is left in the tanks and how far it will take them on the present course, as well as what time landfall will occur. There's no way an unmodified, old carbureted inboard marine engine could ever get onto that information highway. The venerable General Motors small block V-8 is the most popular marine inboard/stern drive engine. A number of companies offer them as rebuilt marine engines or even as brand new crate motors. Clearly, the new inboard technology means more efficient performance. But it also means quieter running. A case in point is the smokeless, whisper quiet common rail marine diesel engines Muffler technology has also moved forward of late, which makes for even quieter cruising. So, there's more to consider than you might at first imagine when it comes to whether or not to invest in an up-to-date propulsion system or to stick with your old one and try to revive it. Some of the newer marine engines, like this Yanmar Marine diesel, burn alternative fuels such as Biodiesel. After 23 years and 33,000 hours Rhode Island fisherman Bill Long rebuilt his Isuzu E120 diesel. Mack Boring & Parts Company did the work.